The nuclear battery which powers the virus is running out of fuel… Sensing the danger to itself, X.A.N.A. possesses a criminal to steal some uranium. When our heroes find out what’s going on, they are forced to help X.A.N.A. to carry out its evil plan as Aelita’s survival is also under threat! A tower is activated in the Ice Sector. Peter Duncan, a very dangerous prisoner, knocks a policeman out under XANA’s control. The whole school is talking about his escape but the Superscan says that no tower has been activated, so Jeremy believes that it has nothing to do with XANA. 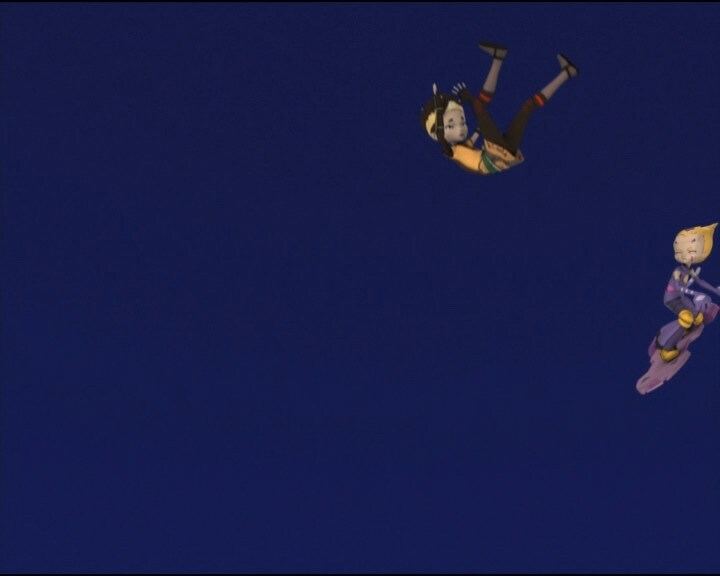 During Ulrich, Odd, Jeremy and Aelita’s maths exam, the young girl falls unconscious, at the same time as the escapee. 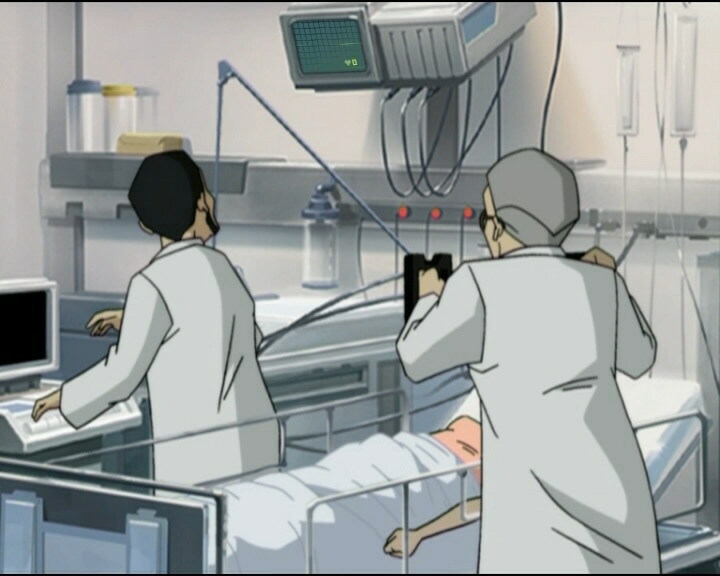 Aelita is sent to hospital as her heart rate is weak and irregular. Jeremy realises that the Superscan has reset and he goes to the factory with Odd and Ulrich. Yumi stays with Aelita who wakes up not long after. Duncan stops a truck carrying nuclear substances and subdues the guards. 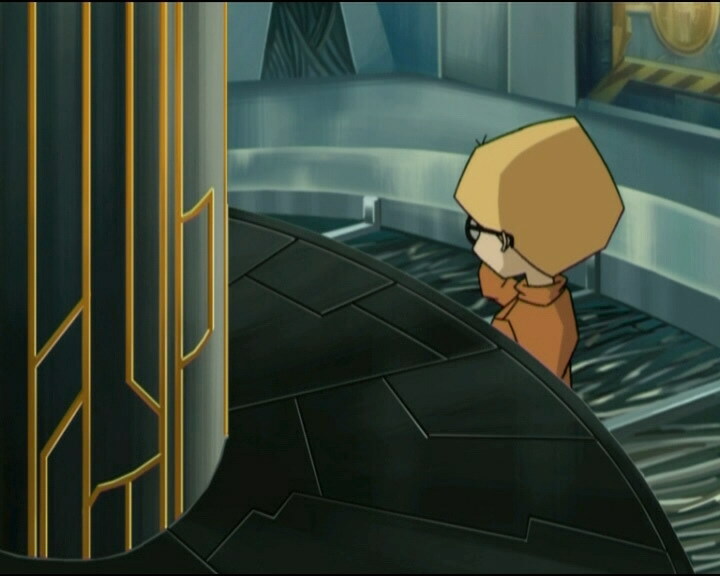 Odd and Ulrich go to Lyoko and find the activated tower not far from where Jeremy virtualised them. They decide to go back and find Aelita at the hospital so she can deactivate the tower, but that’s when the holomap and control screens go blank. 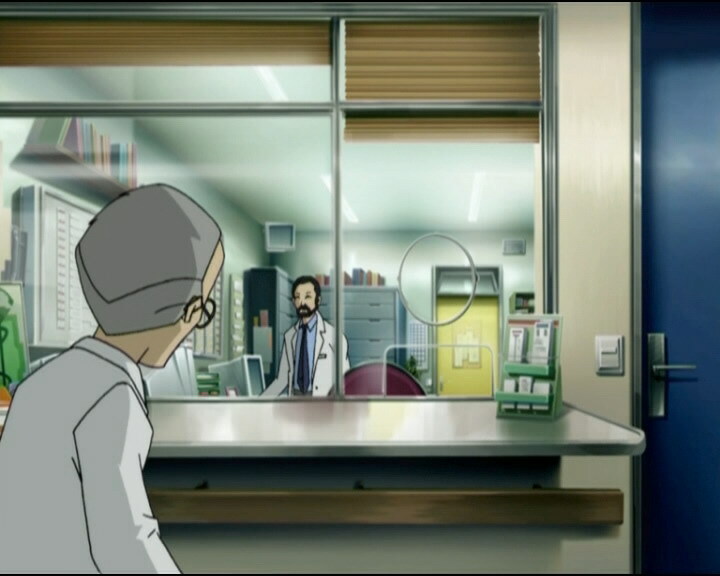 Jeremy can’t contact Ulrich and Odd; at the clinic, Aelita falls into a coma again and her heart rate drops. Duncan also falls to the ground at the same time. Jeremy tries to restart the Supercomputer unsuccessfully. 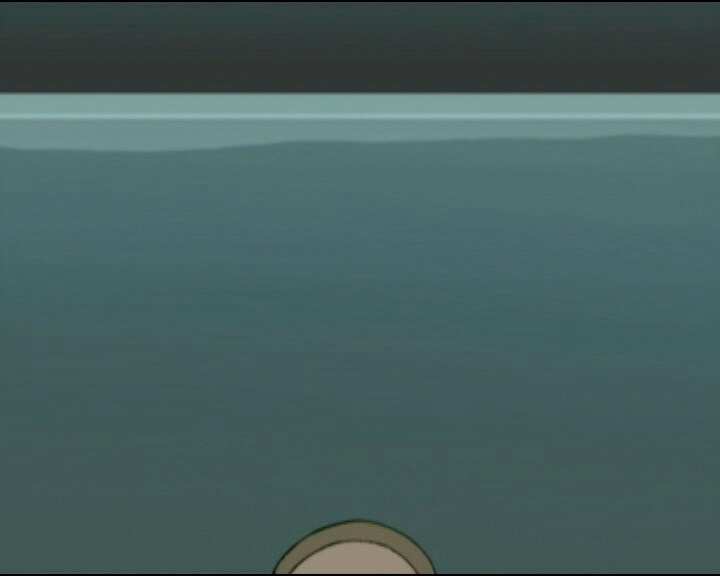 Lyoko then starts to disappear before Odd and Ulrich’s very eyes. They try to escape the new problem. 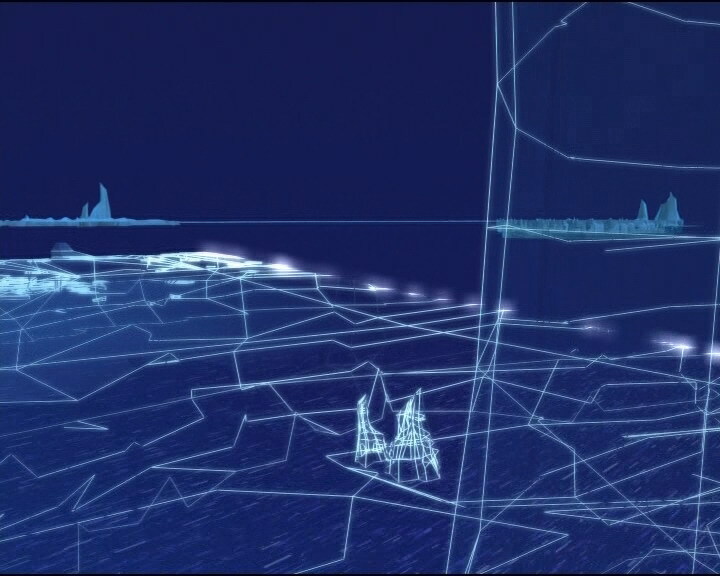 On their vehicles, they quickly fly over the Ice Sector, the ground disappearing and leaving nothing but the Digital Sea. Jeremy finally manages to restart the Supercomputer at the moment when our friends start to fall towards the Digital Sea. Aelita and Duncan’s hearts start again and Jeremy realises that the Supercomputer stopping is due to the nuclear battery dying. He goes to the hospital with Odd and Ulrich to find a solution because XANA and Aelita are both on death’s door. Jeremy is then kidnapped by Duncan while waiting at the coffee machine. 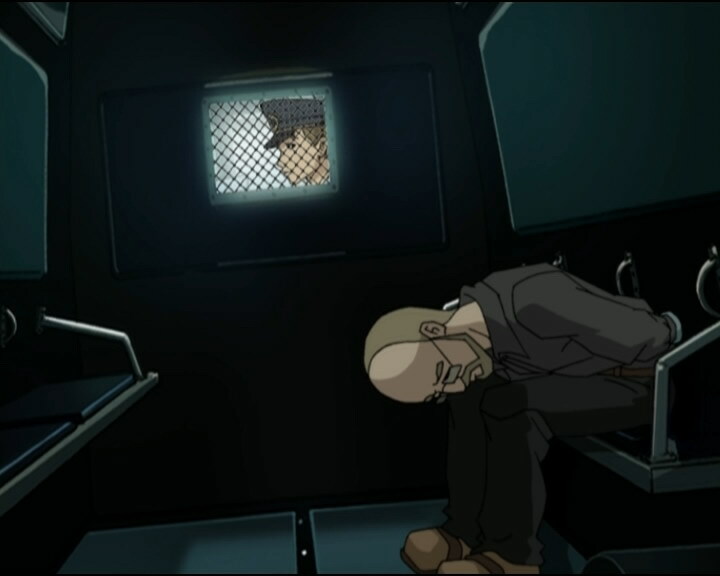 At the moment when Aelita falls into the coma again, Ulrich gets a call from Jeremy who explains that he turned off the Supercomputer before changing the battery with the one Duncan brought him. 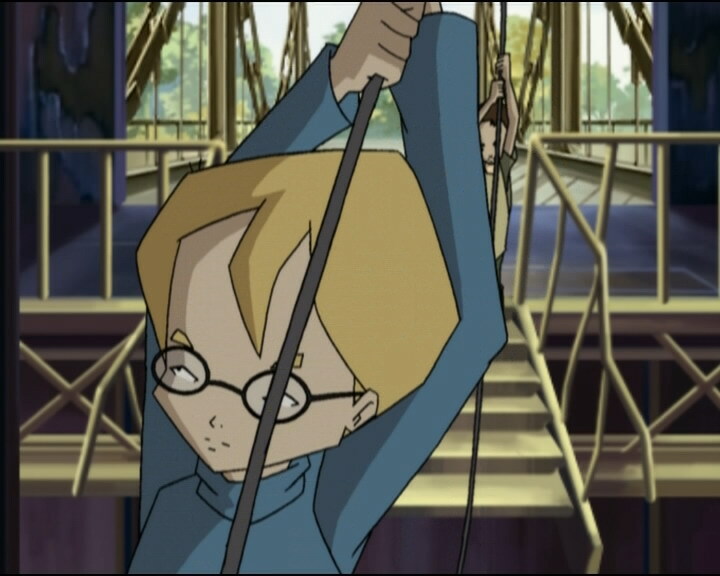 He asks Ulrich to bring Aelita to the factory so she can deactivate the tower once XANA wakes up again. When Jeremy finishes the call, he changes the batteries and turns the Supercomputer back on, fleeing to the control room with Duncan on his heels. 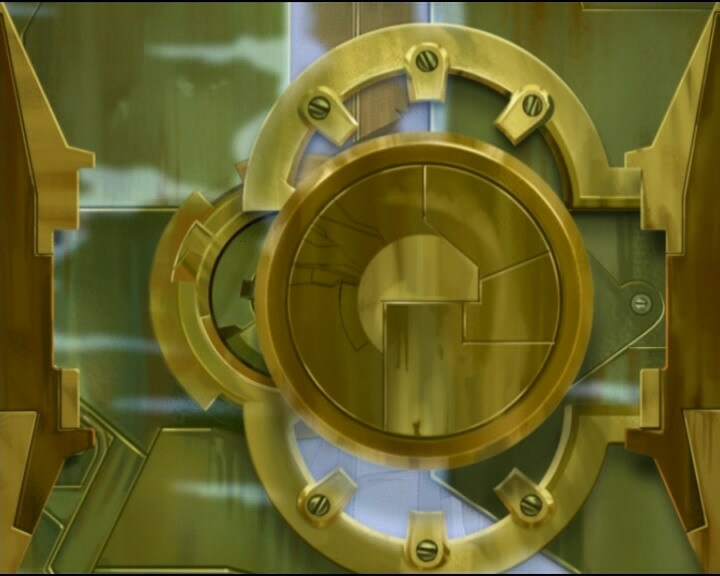 Odd, Yumi, Ulrich and Aelita enter the scanner room and tell Jeremy they’re ready to go in, except for Ulrich who stays to protect him from Duncan. A fight ensues but Aelita makes it to the tower. Duncan, after ousting Ulrich as Odd is devirtualised, gets ready to hit Jeremy. Aelita deactivates the tower. Jeremy then whacks Duncan on the head, ending the fight. - Attack: XANAfy a criminal to steal a nuclear battery and replace the Supercomputer’s old one, which is almost empty. - The Supercomputer’s battery, flat, was changed in the conjoined efforts of the heroes and XANA. - A slightly different take on Odd’s joke “Say something” “Something”; “Tell me you’re there” “You’re there”. - According to the doctors, Aelita is 12. - According to Yumi, her brother Hiroki wants to be like his dad when he grows up but with muscles. - Pierre Nanquin’s name is changed to Peter Duncan in the English dub. - The doctors said Aelita is an adolescent of 12 years old, but she’s 13. - The factory microphone disappears from Jeremy’s right ear when he says “Virtualisation”. - When Jeremy arrives at the factory sewer ladder and Odd is climbing up, we only see Odd’s skateboard against the wall. However, when Jeremy climbs up, Ulrich is there, so his skateboard should’ve been too. - Yumi’s cup turns red when it was white. 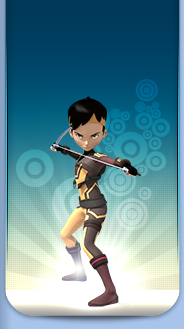 - Aelita’s outfit is inversed when she enters the Code Lyoko. - At the hospital Aelita is in a sort of green blouse, often provided at hospitals. When we see her later on, it’s disappeared! - Odd’s pants are entirely the darker shade of purple when Ulrich asks if XANA could be involved, when Jeremy says the Superscan is giving incorrect results, when he’s on the factory bridge, when Jeremy goes to the coffee machine at the hospital, in the scanner room, when he waits at the hospital, when Ulrich tells him that one day he’ll reap the rewards of a hero who doesn’t study, and before the closing credits. The colours are inversed when Jeremy and Aelita walk towards the drink machine, when the doctor allows them to see Aelita and when Jeremy talks to Aelita. - Odd’s undershirt disappears from his torso when the doctor allows them to see Aelita and when Ulrich says he and Odd will accompany Jeremy to the factory. - First appearance of Kankrelats in the Ice Sector. - First mention of the Supercomputer’s nuclear battery. - Second episode in which we see two monsters communicating with one another. - Reappearance of the police officers from episode 4, “Log Book”. - Record beaten by a Kankrelat that took out 90 of Yumi’s life points in one hit! - We know the Supercomputer runs on a nuclear battery, which is replaced in this episode. - The nuclear power plant XANA-Peter Duncan steals the uranium from is the same as the one XANA tried to blow up in episode 2, “Seeing is Believing”. David Copperfield is a well-known magician and illusionist. Policeman: You happy to be going home, huh, Duncan? Policeman: Typical! That’s what you get for trying to be nice! Odd: You know, ever since David Copperfield made the Statue of Liberty disappear, nothing surprises me anymore! Yumi: Imagine public enemy number one under XANA’s control! Talk about double trouble! Odd: A public enemy? What did this Duncan guy do? Odd: Hey Ulrich, what’s the last digit of a number divisible by two, huh? Odd: Oh yeah, that’s the answer! Well don’t ma’am! Ms Meyer: No, that’s the grade you’re going to get if you keep trying to cheat! Ms Meyer: Well Jeremy, is there a problem? Doctor: That kid’s got a real guardian angel, that’s for sure. Doctor: She’ll be alright, but it’s an extraordinary case! Yumi: Can we see her? Doctor: I don’t see why not, but not too much noise. She needs to rest. Odd: Don’t worry, doctor, everyone knows I’m quiet and calm! Jeremy: Although the Superscan seems to have reset itself, it’s not giving the right results! Odd: Kind of like me! I guess it didn’t study either! Yumi: I’ll stay here. We can have a girl-to-girl talk for once! Odd: The real question is: can you fix it? 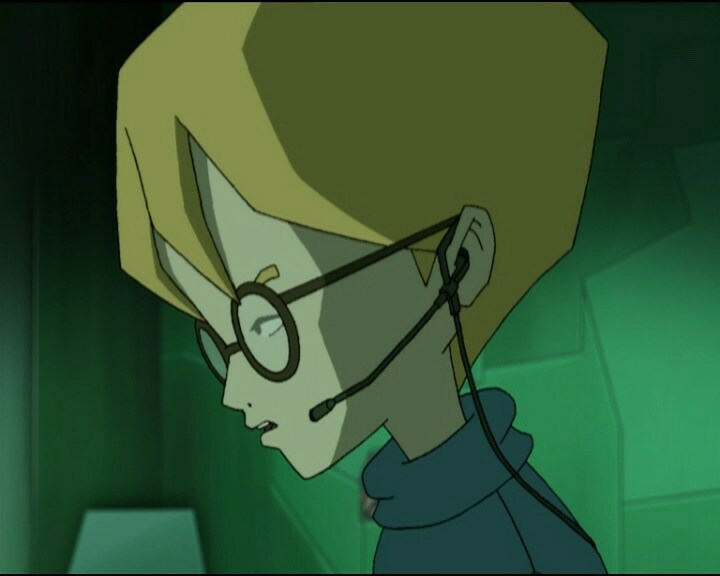 Odd: Ok, ok, if XANA’s activated a tower, we’ll find it much faster by going directly to Lyoko! Odd: Uh, Jeremy, not that we’re in a rush, but uh… Jeremy? Taking your time there! …Jeremy? Odd: Hm, must’ve forgotten to pay his phone bill! Jeremy: What’s wrong with this darn Supercomputer? Ulrich: What is going on around here anyway?! Odd: I have no idea! But we’ve got a real problem! Ulrich: That’s the understatement of the year. Odd: How about…a gigantic invisible eraser? Odd: Jeremy, can you hear us? We have a big bug here! 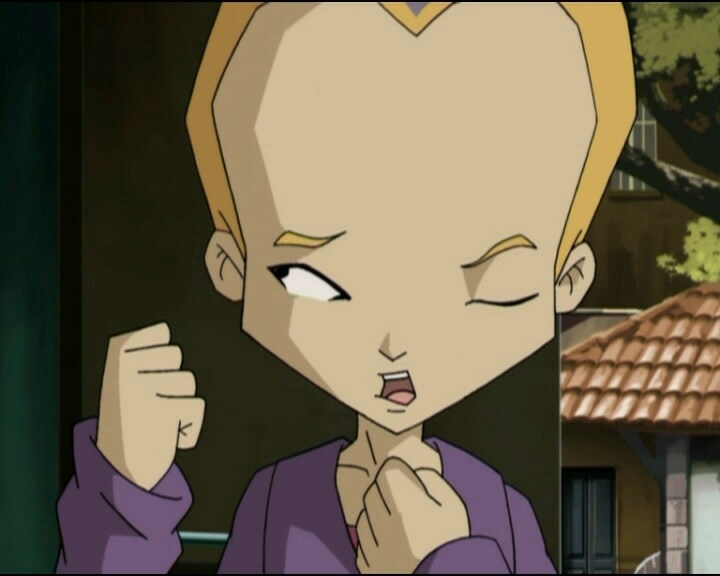 Ulrich: Looks like Lyoko’s recharged its batteries! Jeremy: The uranium in the nuclear battery’s almost all used up, so the Supercomputer keeps failing and pretty soon it’ll turn off altogether! Odd: Oh, is that all? Then we just have to change the battery! Jeremy: A Supercomputer is not the same as a GameBoy, Odd. You can’t just pick up a bar of uranium at the corner store! Odd: Hey Princess. Is this the best TV set they could find? Jeremy: I just turned off the Supercomputer. Ulrich: That means that Aelita is saved too then! Fantastic! Jeremy: Yeah, except that once the new battery is in, Duncan’s gonna try to kill me. Jeremy: Yumi, Ulrich, Odd, are you there? Tell me you’re there! 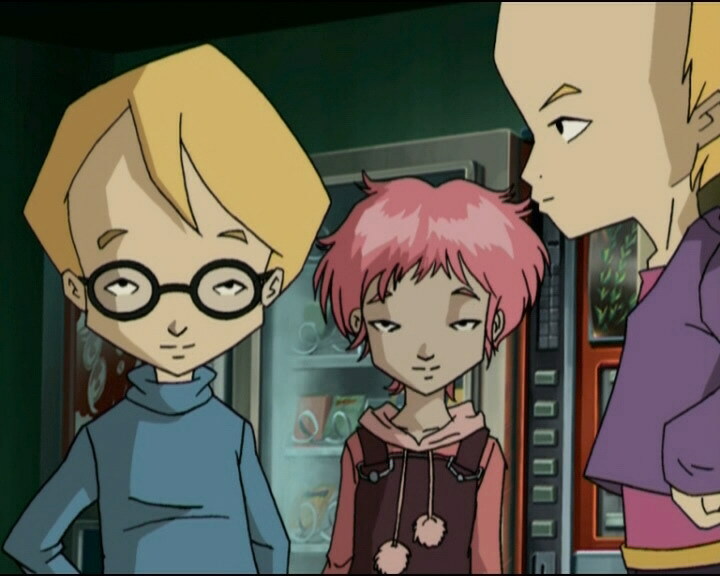 Odd: Launch the prodedure for Yumi, Aelita and me. We’re gonna deactivate that darn Tower! Ulrich: Here I am! You didn’t think we’d let you have all the fun with Peter Duncan, did you? Odd: Oh, Kankrelats! We haven’t seen you guys for a while! I missed you! Odd: We’re doing our best! It’s no picnic out here! Yumi: There’s no time Odd, let’s go! Odd: Must be your lucky day, you little Kanker-creeps! Jeremy: Can you handle him? Ulrich: I love entertaining guests! Yumi: Aelita, time to pull out all the stops! Odd: That’s how it is for unsung heroes like ourselves. We’ve gotta act and win, and remain in the shadows. I guess that’s what being a true hero is all about! But someday, everybody’s gonna know just how brave we are! And we’ll reap the benefits and rewards true heroes deserve! Jeremy: Hey, speaking of rewards, I just saw Ms Meyer! Jeremy: She gave me the results of the math test! Odd: Uh, great! What did I get? Jeremy: 8650 + 51 - 10000 + 1299! Odd: You mean I got…um…uh…wow! I got a hundred? Ulrich: Don’t worry Odd, one day everyone’s gonna know how brave you are by not studying! And you’ll reap the rewards that an unsung hero like you deserves! Yumi: But don’t hold your breath!